here in germany it is impossible to get an i7. This is 100% a paper launch to try and stop people from buying AMD systems for a while. 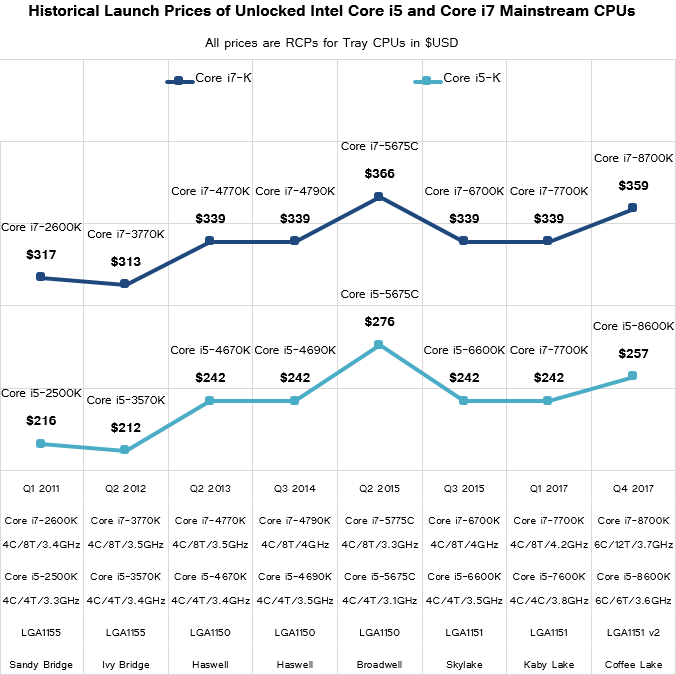 Intel is killing the whole bottom half of its Skylake X line and completely killing Kaby Lake as well. A buyer would simply be crazy or extremely unknowledgeable to buy ANY Kaby Lake or older Intel platform today , because these are dead platforms with no upgrade path. But the Coffee Lake paper launch will create a halo effect and fool the ordinary PC buyiers into going Intel despite not having the slightest chance of installing any future Coffee Lake gaming chip into any current motherboard. Intel is also slowing down AMD's sales inertia. What AMD needs to is to leak the future 12nm lineup to show people that going Ryzen is the right choice, bringing in a platform with a long future and upgrade paths to chips that will surpass Coffee Lake soon. We understand what Anton did here and it is very, very much apreciated. Er, Skylake-X has one processor which has been equalled by Coffee Lake (the 7800X) but which has quad channel RAM as well as more than 50% more PCIe lanes on the CPU - so depending on your workload it's not exactly "killed off", unless you also want to claim that it's "killed off" Ryzen 1700X-1800X which are broadly performance comparable. Everything above that has more cores and threads than anything in Coffee Lake, so not exactly "killed off" either. It has killed off Kaby Lake-X - is that what you meant? Your logic is also broken. You start by asserting that this is a paper launch to stop people buying AMD - but go on to talk about the fact that it's "killed" Kaby Lake which is an Intel platform. "Your logic is also broken. You start by asserting that this is a paper launch to stop people buying AMD - but go on to talk about the fact that it's "killed" Kaby Lake which is an Intel platform. So which is it? 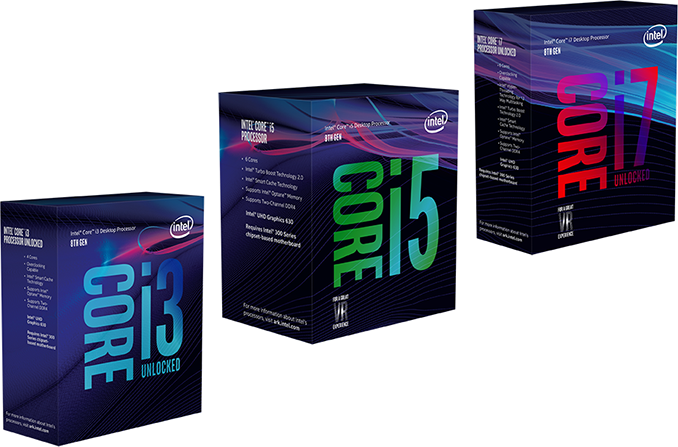 Is it designed to stop people buying Intel or AMD?" ...except it doesn't screw over the Kaby Lake chips as discussed? The Kaby Lake-X ones are largely irrelevant now but the rest of the product range has precisely as much value as it ever did. Give it a few months for the cfl platform to mature then you can reasonably say that it's superceded kbl but at the moment the assertions he's making are ridiculous. It's not impossible to get one in Germany. Alles Technik have shipped out 8700Ks already, Computeruniverse have taken orders for 8700K stock due in on October 9th, and MindFactory have confirmed they have a shipment of 8700Ks incoming.